The Phembani Group was founded in South Africa in 1994, at the birth of our democracy. During the first decade of our enterprise, our strategy was to pursue the investment opportunities arising from that important and game-changing moment in our country’s history. The result was a diverse range of investments across a wide variety of sectors. However, in the mid-2000s Phembani made a conscious decision to change our approach and made several divestments to focus our investment strategy on the energy and infrastructure sectors. Previously known as Worldwide African Investment Holdings. Phembani acquires a 51% interest in the newly created Afric Oil. Phembani acquires a controlling stake in Zenex Oil, an independent oil company. Phembani acquires the remaining 49% in Afric Oil. Phembani acquires a 20% stake in Engen. As part of the transaction, Phembani disposes of its interest in Zenex to Engen. 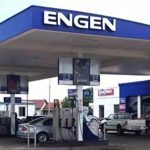 Engen acquires a 45% stake in Afric Oil. Phembani disposes of minority stake in Alexander Forbes Limited. 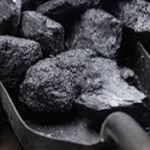 Phembani embarks on a new focused energy strategy, acquiring a 51% interest in Imbani Coal (now Phembani Coal Carolina) and then a further 32.7%. Phembani provides funding to Eyabantu Capital Consortium, which acquirs an effective 5% stake in Exxaro. Phembani acquires an additional 9.9% shareholding in PCC, taking the effective interest to 93.6%. Phembani acquires Engen‘s stake in Afric Oil. 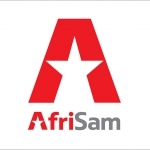 Phembani acquires a significant interest in the debt of AfriSam, with the intention of converting it into equity. 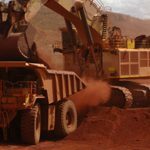 Phembani acquires an effective 6.0% interest in SOUTH32. Consensual restructure of AfriSam announced. Phembani converts debt into 30.5% in AfriSam. Phembani Group concludes a shareholder restructure. In November 2014, Phembani re-opens high-level negotiations with Shanduka Group’s majority shareholders, regarding the possibility of an acquisition of Shanduka’s assets, other than a few select investments. The proposed transaction will enable Mr Cyril Ramaphosa (South African deputy president at the time) to exit his business interests in Shanduka to focus on his responsibilities in the SA government. Phembani and Shanduka finalise definitive agreements, followed by the application for the appropriate regulatory approvals. 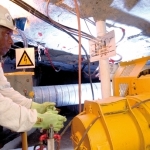 Phembani and Shanduka conclude the first phase of transaction agreements in June, the second is concluded in December and the deal is implemented that month. 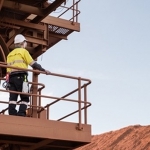 The vision is to create a black controlled, Pan-African industrial holdings group playing, a leading role in the natural resources, infrastructure and industrial sectors. The resulting entity has approximately 28 investments and R8bn in assets in the combined portfolio. Its balance sheet scale and capacity will provide a platform for exciting new growth opportunities for shareholders, investee companies, employees and its broader stakeholders. The group now has a pipeline of opportunities across chosen sectors on the African continent. Read more on Shanduka’s history.